Five new research projects proposed by scientists at the Technical University of Munich (TUM) were impressive enough to be awarded Consolidator Grants by the European Research Council (ERC) this year. Three of the selected projects are from physics, in the fields of nanosciences, solid-state physics, and cosmology. The application process for the generously funded ERC Grants is open to researchers with 7-12 years’ experience since completion of a doctorate. The selected projects receive up to 2 million euros in funding from the ERC. Back in August, six TUM researchers were each awarded an ERC Starting Grant. With the announcement of the five Consolidator Grants, the number of ERC grants at TUM has now increased to 84. Now, 23 of these are from the Physics Department. In his ERC-funded research project “Quantum Nanowire Integrated Photonic Circuits” (QUANtIC), Research Group Leader Dr. Gregor Koblmüller plans to develop nanowire structures made of semiconductor materials. These nanostructures, which are about 1,000 times thinner than a human hair, are ideal for optical wave propagation, but are also narrow enough for their physical properties to be governed by quantum effects. 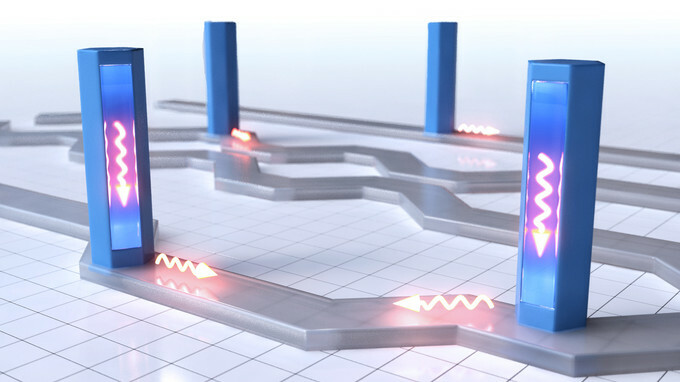 Examples of potential applications for such nanowires might be the placement of tiny wire-shaped light sources such as nanolasers or single-photon emitters with specific characteristics directly on semiconductor chips. Such light sources could be coupled directly with integrated photonic and quantum optical circuits. 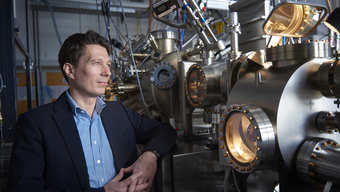 That would facilitate the development of highly integrated technologies in chip-based light processing, quantum communications and “lab-on-a-chip” sensor technology. 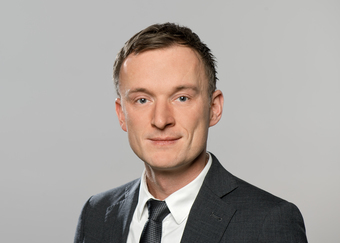 Gregor Koblmüller has been conducting research in the Physics Department and the Walter-Schottky-Institute at TUM since 2009. He is also a member of the Nanosystems Initiative Munich (NIM) excellence cluster. In 2016 he accomplished his habilitation at TUM with a thesis on “Semiconductor nanowires”. For his scientific work, he received the Arnold Sommerfeld Prize of the Bavarian Academy of Sciences and Humanities, among other awards. The research activities of Prof. Frank Pollmann focus on topological phases, which may one day become building blocks for quantum computers. Among Prof. Pollmann’s areas of interest as a theoretical physicist is the prediction and classification of previously unknown phases of matter. In his DYNACQM project, now made possible through the Consolidator Grant, he plans to go a step further: he intends to predict specific dynamic characteristics of such phases and simulate them in model systems. 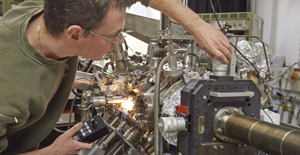 This would make it possible to determine, for example, which materials are most suitable for implementing “exotic phases” with technical applications. 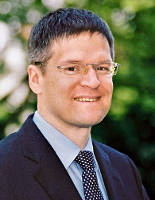 Frank Pollmann is a Professor of Theoretical Solid-State Physics at TUM. For his work, he has received the Walter Schottky Prize from the Deutsche Physikalische Gesellschaft, among other honors. 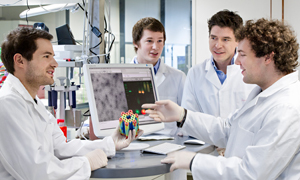 He, too, is a member of the Nanosystems Initiative Munich (NIM) excellence cluster. The strong gravitational lensing effect occurs if a substantial mass concentration, e.g. a galaxy cluster, lies between an object in a far-away galaxy and an observer on earth. The mass concentration acts as a lens, bending light rays passing on either side of it so that multiple images of the same light source are seen. In her ERC-funded project LENSNOVA, Prof. Sherry Suyu plans to utilize this effect. When phenomena such as supernovae are investigated, the multiple images will appear at different times due to the different optical path lengths of their light paths and gravitational delay by the lens. This time delay contains valuable information on the geometry of the universe. Moreover, the gravitational lensing effect can even help to study the beginnings of a supernova explosion. Prof. Suyu hopes that her research will shed light on the progenitors of Type Ia supernovae, dark energy, and other phenomena. 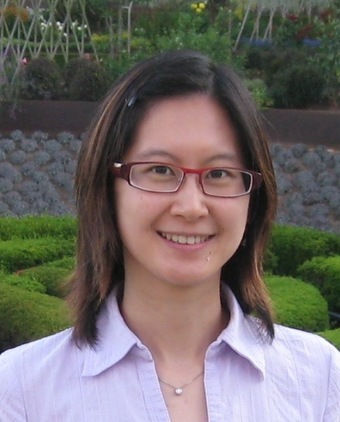 Sherry Suyu is a Professor of Observational Cosmology at TUM and heads a research group at the Max Planck Institute for Astrophysics. This dual affiliation is made possible under the MaxPlanck@TUM-Program.